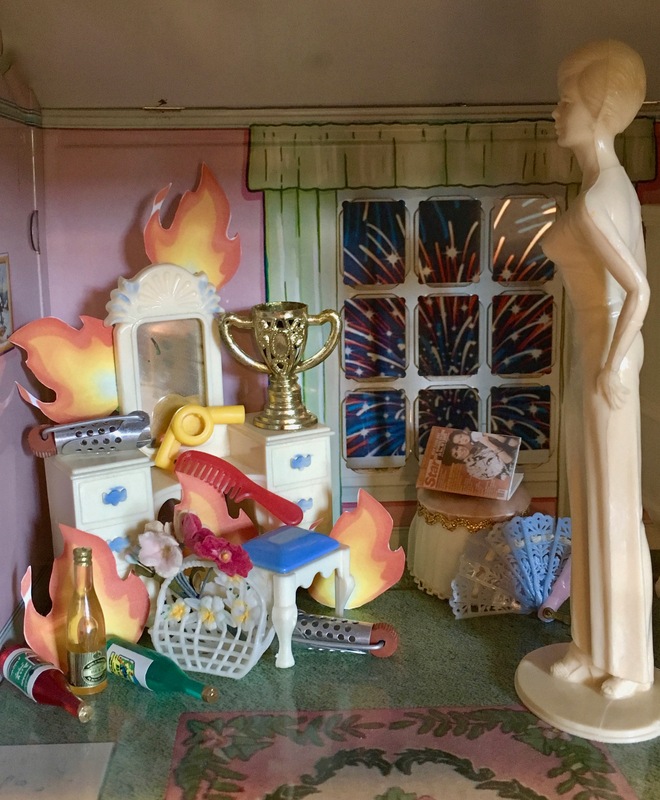 I began The Dollhouse to explore my personal history as an adoptee as well as to interrogate the ideas of identity, feminism, and home. When I was a child, I wanted to control the world because, as an adoptee, I felt I had no control. Children play to control the world. Tiny themselves, we create even smaller worlds populated by all sorts of figures, friends to have tea with, monsters to defeat, new microcosms to explore what is inside us via the outside world. I often created dioramas, imagining myself into another life. It didn’t matter the tiny stage, these were worlds into which I disappeared for an afternoon. When I was 29, I learned that my birthmother had become pregnant with me and had been sent away to a home for unwed mothers—The Guild of the Infant Saviour, in Manhattan—I realized we had more in common than just the circumstance of my birth: we both had disappeared inside fantasy worlds. Mine was tiny, imaginary, and voluntary; hers was all too real.